The prosperous and vibrant country of Uttar Pradesh holds a special place in my heart. I am now officially a resident of this high on testosterone land. In such a short span of time, the Gun Ka Achaar, the poems of Ma Behen, the misty winters of cold shoulders and the daredevils on the pot-holed race tracks have taken my heart away. The citizens of this country are a class apart. They work tirelessly towards bringing to life what the rest of the Indians consider unachievable. There are times when I have tears of happiness in my eyes while driving as I see everyone following the following 10 commandments of driving in this amazing country with such seriousness. The citizens of this great nation realized long back that the fastest way to develop the country is to flip the way they drive. Driving in the wrong lane is not taboo here. In fact you will be amazed by the vehicles running in the wrong lanes. It gives you an instantaneous feeling that you are in America. It is a sign of progress. In fact any tourist who visits Uttar Pradesh immediately gets comfortable seeing the roads here after jumping from their hotel windows. Now smirking and making fun of people who try to apply the rules followed in India is considered a privileged activity in the country of Uttar Pradesh. Outsiders are advised not to take it negatively. You really have to understand the emotion of the citizens behind this act. Try to drive in the wrong lane for a resounding acceptance. In fact, educated and well placed Delhiites who buy posh flats in NCR here end up following the American rules of driving. It is a matter of pride. The enthusiasm with which the citizens of this great nation drive might drive an outsider crazy. The honking is like a symphony that reaches a rhythmic crescendo especially near traffic signals. Try listening to Beethoven’s 5th symphony while driving here and that might be the closet you will get to achieving nirvana. Honking is nothing more than brotherly prodding. It is a way to tell you that a bullet is always faster than the speed of your car. The adventurous zeal with which the citizens here drive is commendable. It keeps the heart healthy as it keeps pumping at the rate of 150 bpm. It is a fantastic alternative to exercising in our busy lives. So, the next time you see UP-ites stopping at a signal not because it has turned red but because they are going to die otherwise, try to understand the smart logic behind it. Almost everyone (except a few sissies) in this great nation has a habit of jumping signals. Multiple jumps lead to multiple orgasms. The traffic cops are a non-existent entity in this great country. After living here for a while, it is evident to me that the country really don’t need them. The citizens take great care of each other in all sort of road related issues. There is so much caring and sharing that people have rods, bats, fists, honks and swearwords ready in case of an emergency. On exceptional occasions, even if there is a traffic cop standing next to the lamp-post remotely trying to streamline the traffic, he is royally ignored. He is similar to the lamp-post, only less useful. No matter how badly damaged the road is, the citizens of this great nation never take it to heart. 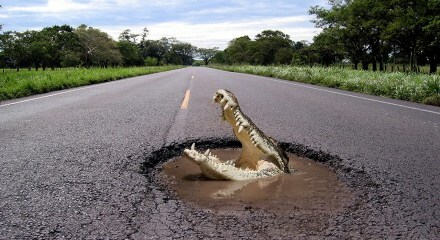 Mostly, the speed of their cars is so high that they fly over the potholes. The act is therapeutic in nature. The constant flights and occasional jolts rejuvenate the body. Also, the mind remains in an alert state when so many cars are racing in the same direction. It is very similar to a computer game where rickshaws, cows and pedestrians are added to attain higher difficulty levels. Sometimes potholes are filled with sand and a few days later you might see a plant sprout out in the middle of the road. Where else in the world will you see such ardor in the citizen of a nation where they can achieve the frightening feat of opening the door of a moving vehicle to spit on the road? In fact the citizens are so hell-bent on decorating the roads and give the nation a colorful appearance that at any point of time, you can see multiple doors opening on a road and paan flying out. It is almost like a synchronized performance of children sitting in a stadium with colorful placards. Since the country has such compassionate citizens, it is not surprising that the traffic sign boards are used for the benefit of the common citizens and politicians. 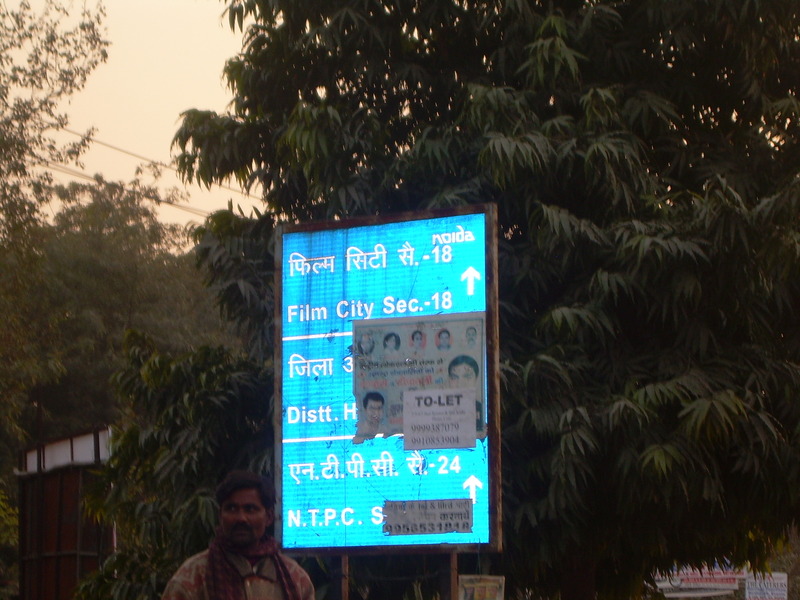 So, you can see a ‘BOYS PG’ poster right over a ‘NO PARKING’ sign board. 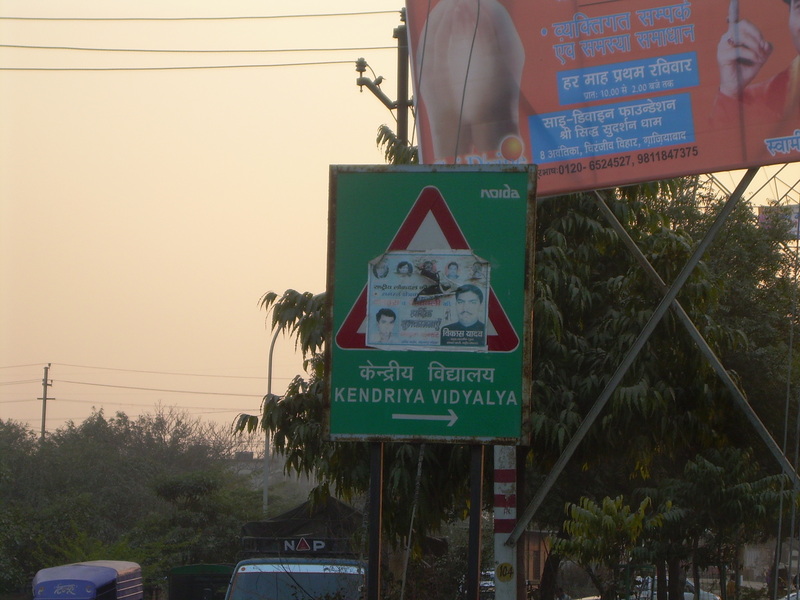 There might be a colorful mega posters of politicians draped on overhead sign-boards on highways. It is heart warming to see people using government resources for the benefit of all. The citizens of this amazing nation do not believe in parking areas. Outsiders might be surprised by cars parked at unimaginable angles and in no parking zones but it exhibits the adjusting nature of the citizens. There are auto-rikshaws parked at busy intersections while their drivers pull helpless pedestrians inside. They even pull in men watering the walls midway in the act of donation. These acts (the pulling ones) restore my faith in mankind. Of course, despite all the brotherly love the citizens shower at each other, there are terrible accidents almost every day on the roads. It is a very common sight here to see weirdly crushed vehicles. Over the years, the citizens have developed a heart of steel and carry on abiding to the 10 commandments with the zeal of a warrior. They are the true heroes of the nation of Uttar Pradesh. And in the end, I promise to follow the 10 commandments with all my heart. I am proud to be a part of the brainless brotherhood. Oh my and I thought Maharashtra was bad when it came to flouting traffic rules. The same things you mentioned happen here but there are more number of people waiting at the signals than breaking them, thankfully. I think no other state comes close to Uttar Pradesh when it comes to breaking traffic rules. You have to see it to believe it. People generally stop at traffic signals when they are very sure that they will die otherwise. They are daredevils, believe me. 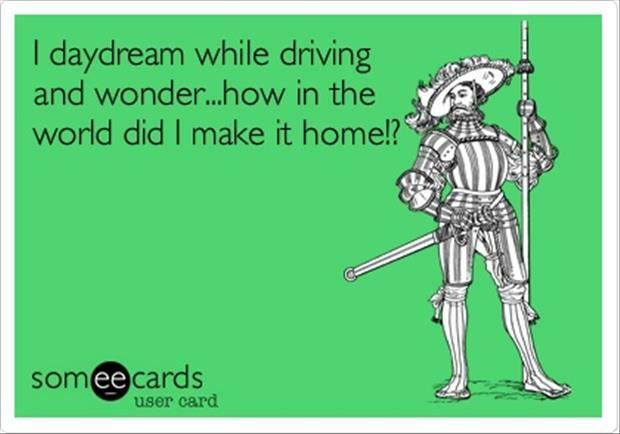 Though I don’t drive, I have experienced all of it, in autos and taxis. Autowalas would top the list of careless drivers. Once in Bangalore, one autowala scared me and my friend to death just because we asked him not to smoke while driving. Bangalore has the worst traffic scenario in my view, although Uttarakhand, where I reside these days is not lagging far behind. Its the same case everywhere. I think all of us have horrible stories to tell. Delhi was a mess a few years back but it has been getting better since the last few years. UP was a big shock for me. There is utter lawlessness here as far as following traffic rules go. My office bus passes through Delhi and then enters UP. The driver drives all sophisticated while he is in Delhi but the moment he enters Noida, he turns into a mad bull. There is almost no presence of traffic police on the roads. Exactly! When we were initially looking for a house here, there was this property dealer who was showing us around who was amused when my father told him that he will not drive in the wrong lane. Dad simply told him that he was not yet crazy enough to do that. That guy looked at dad as if he was an alien. People don’t respect you here when you intent to follow the rules. When there is a traffic jam, people start commenting that nobody has any idea about driving and they should have not created an extra line in the wrong side but they will do exactly the same thing if they were in the same situation. Typo alert, typo alert! All the places where you typed UP or Uttar Pradesh should have been spelled as Haryana! I think our only hope for salvation is for the world to run out of oil. Asap. Haryana comes as a close second. Gurgaon is a bit better than Noida and Ghaziabad. You really have to drive here to know the difference. People here are mad and brainless. They have no idea how to handle a road. Parking is actually a luxury. See we are born lazy.. so if we have the privilege of parking in front of the shop we want to visit… what is the problem? Maybe it is my love for the city.. but I’m fine with all its quirks :)) And believe it or not… I have never spoken about the sisters or mothers on the road. Pehle aap has always worked for me! Women are always better drivers. Also, men think that it is dangerous to be in the vicinity of a woman driver because they might get killed. The same men jump traffic signal and are fine with it. Having said that, I have seen women driving in the wrong lane here with great ease. They are as foolish as men here. It is like a jungle where roads are only for decoration and completely unnecessary. Still 2 days to go amit. I believe that. They are more cautious and they follow traffic rules. They don’t drive rashly. That is what I have experienced. The way a person drives is a reflection of his personality. If you jump signals, you don’t have any regard for the laws. If you honk a lot, you have no respect for your fellowmen. If you swear a lot, you are submissively aggresive. If you treat cops like Mr. India, system means nothing to you. The problem in India is the pressure on resources from growing population. This ultimately put a feeling of competition and inflated egos. these commandments are universal in india (like world famous in mumbai!)! i saw two extreme behaviors in lucknow (i am a 6th generation UP-ite): one van coming up the wrong way, driver and his “helper” banging their doors and yelling “abay hutt! (references to maternal relative/female sibling) andha hai kya?” and then, at a junction, two cars with fender-bender issues, “shayad aapne dekha nahi”, “aap ne bhi toh nahi dekha”, “aap apni car hataiye”, “nahi, aap” – this was still going on when i moved away, with a cacophony of brotherly honking and shouting from the waiting drivers. but, i dont feel safe in every state. i have had my driver threatened with violence for no fault of his in new delhi, gurgaon, jaipur. and depending upon the aggressor, it all begins with “tu kahan ka hai, bey?” “kahan kahan se gadhey aa jaatey hain” when they are clearly in the wrong!! this speaks very highly of the indian spirit of “atithi devo bhava”! and also, UP-ites have no traffic violations to pay for in amreeka!! so, winners all around!! You are right. This happens all over India. Delhi was very similar to this 10 years back. It is now a bit organized. But UP is a class apart. Here you will even see trucks in the wrong lanes. I see at least one accident everyday. People here live under the impression that they are driving on a racing track and nothing will happen to them. Geet’s cab driver thinks it is unmanly if he does not jump a signal. We had to talk him out of this mentality. He is not happy. Ditto for my bus driver. He loves to play around with rickshaws and pedestrians. He makes them run in front of his bus and plays God. 1. He’ll have a splitting headache and ear pain for first couple of months. (from all the honking). 2. that’s unless he’s killed while crossing a road. I remember the first time a car stopped to let me cross the road. I was in UK. Tears welled up in my eyes as I crossed the road. 🙂 I have seen pedestrians being treated as cockroaches in my country, so this was something that really touched me. I believe all the Indians should be sent to mandatory foreign trips for a week. They will come back as a different person. And look at the way people strictly follow lane discipline here. If someone is on a “right turn only” lane by mistake, they don’t just scoff and drive ahead. They do turn right and and reroute. India – doesn’t have any ‘lanes’. Jaha space dikhe gaadi ghusa do. India is (the only?) one country in the world where you have to look left and right before crossing a one way street. Oh yes. That! It took me a while to get used to it here in UP. Even if it is a one way road, you have to look at both sides. I have learnt it the hard way. No they won’t! I had visitors from India once and the feedback I got from their relatives who received them at the airport upon their return -” thank god we are home, it was so strict back there, don’t know how they live. Imagine, he wanted to go to the toilet and we spent ten minutes looking for one. Now we can at least spit where we want.” – and when we were living in India, we were the reception committee for returning natives, who were chucking chocolate wrappers out of the car window “with gay abandon”! I think the fact that we even think of peeing on walls and spit on roads is because the rules are not followed strictly here in India. UK and US was not very different from India a few centuries back. It has taken generations for those countries to get themselves disciplined. We too have to go through that cycle. I belong to Lucknow. On a signal at Hazratganj, two policemen hold a thick rope across the road to deter people from moving while the red light is on. This is the capital city and a posh area. No wonder, they say roads are a true mirror of the society. In Noida and Ghaziabad too, traffic policemen has to stand with a danda in his hand to stop the traffic when the signal turns red. Even then no one listens to them. What do these people eat? Gurgaon is a close second. If you really want to enjoy Gurgaon, try driving here during a heavy downpour. You will wish you were never born. I was once stuck in traffic for 7 hours here. It is my sacred duty to talk of Rajasthan where i live.I think we should get the gold medal for surviving on roads here.Neither drivers nor pedestrians have any idea of traffic rules.Pedestrians will just put out their hand & without even looking at your car,cross it .It is your duty to save their lives. Haha! UPites don’t believe in Talk-to-the-hand gestures. They simply jump in front of your car to cross the road. You have to make sure that you don’t ram into them. They don’t even check if traffic is coming their way. I am laughing too hard to even comment. This is SO true. Pedestrians are cockroaches here, I totally agree. I still remember that button you click to cross the road in the UK… and how the car waits patiently until you are done. Sigh! Oh yes. That was something. I had no idea that cars can stop for pedestrians. Haryana would give UP a run for it’s money when it comes to driving practices :p In addition to terrible roads and drivers, there are wild pigs running around the roads of Gurgaon. My office is in Gurgaon and every evening there will be a herd of cows will the most terrifying horns I have ever seen, amble in the middle of a busy road. It is a miracle that no one died! Jo darr gaya, woh marr gaya. Wear a Ray Ban. sport a mustache, buy a mean looking SUV, gnash your teeth as you criss-cross lanes and soon you will be on bhaiyya terms with all of them. I am thinking of buying an SUV. I love to make people run for their lives. Teehee. Its the same everywhere, Amit. In any case, if UP leads the way, can Bihar be far behind? I’ll bet you’ve never been to Patna. People there accept traffic jams as a part of life–if you ask them how long it will take to go from point x to y, they’ll duly take ‘jam-time’ into consideration and tell you accordingly!! I spent the first 8 years of my life in UP and I have memories of riding pillion with my father on his green bajaj scooter. Almost a circus it was, all four of us on it. 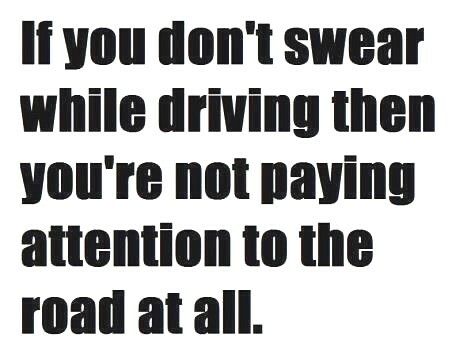 I was too young then to remember so much about the roads, but yes, I do remember the paan spitting syndrome. I often wonder what Kanpur (where we lived) must look like now. I have been to Kanpur in a marriage a few years back. To tell you the truth, I found the city all right when I compare it to Noida and Ghaziabad. It might have changed in the past few years. In U.P. you have to act insane to drive. Everyone has to think that you are going to kill them. Haha! Story of India. After all the roads are built, the govt realises that there is no place for the pedestrians to cross it. Then a few people die crossing it and a overhead crossing is hastily created. Pedestrians are given the least importance in the scheme of things. I will keep these commandments handy on my next trip! Btw, is the first image Raja Bhaiya’s pond? I have heard a lot about it. Yes, that is Raja Bhaiya’s crocodile. A lot of people have “accidentally” dropped in his jaws. This could be the state in many of our other states as well…to be very frank Mangalore is way way better but the bus drivers are the true fearless warriors here! Haha! My bus driver is a fearless warrior too. He is the king of the road. lol…lol….born and liven in UP for 22 years…:D…:D….right now in ggn….you are right,…ggn is a tad better than ghaziabad, Noida…….btw..bangalore ka bhi same haal hai….there the auto wallahs are the most rash drivers…baaki bachi kuchi kasar narrow roads fill kar deti hain…..and ye…10 points for Gurgaon during a downpour!! !….its a real real nightmare!! Gurgaon during a downpour. Well, tell me about it! It is amazing that even though we have hundreds of examples all over the world to create a well designed city, we mess up all our chances. You dumb you have to be to do that! I see that there is a competition going on in the comments about whose city is the best/worst! Seriously, the trouble is that if you do follow the rules, you’ll end up damaging your car or just staying stationary in the same spot for hours! What’s the point of that?! You have to be in a place where people are *made* to follow the rules or else pay a severe fine! Haha! I think UP is winning the competition. I don’t think any other state comes close. I usually try to follow the rules but I do get glares and honks for that. You have to live with it. Because I love this place and people here are so helpful. I think I am already in hell. I am sorry that you have moved to UP. I lived there for 4 years and six years later, I still shiver at the thought of UP. As far as traffic is concerned, living on the GT road, I have seen enough smashed human heads (literally) per month, for 4 years, to last me a lifetime. Hilarious and pretty accurate post! Thankfully I live in one of the “posh” localities in NCR. The localities are posh because there are tall buildings and if you don’t count the people who live there. I have seen enough well-educated people driving on the wrong side to last a lifetime. these things happens in Punjab as well …sad state of our country .. abroad, people follow traffic as a religion and its quite opposite in india!